By the order of startup Lapka, we have developed the enclosure design, manufactured the pilot batch and prepared for mass production a set of sensors for iPhone: nitrate meter, radiometer, electromagnetic field and moisture measuring devices. Each sensor is a rectangular unit with a base in the form of a wooden cube with the face size of 19 mm. The devices are connected to Apple smartphones through audio interface. They use iPhone energy and CPU, and the measurement results are displayed on the screen of the mobile application. 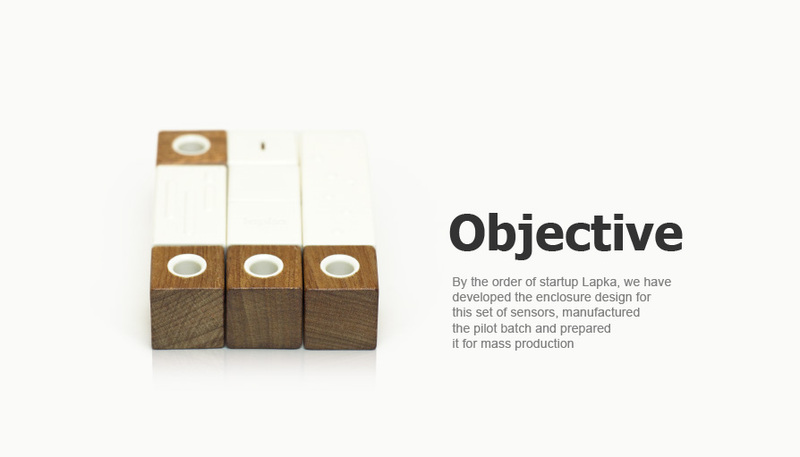 The enclosure design for Lapka sensors has been adapted to the manufacturing requirements. Promwad experts as well estimated various samples of wood, plastic and metal in order to find the optimal combination for the production of prototypes. 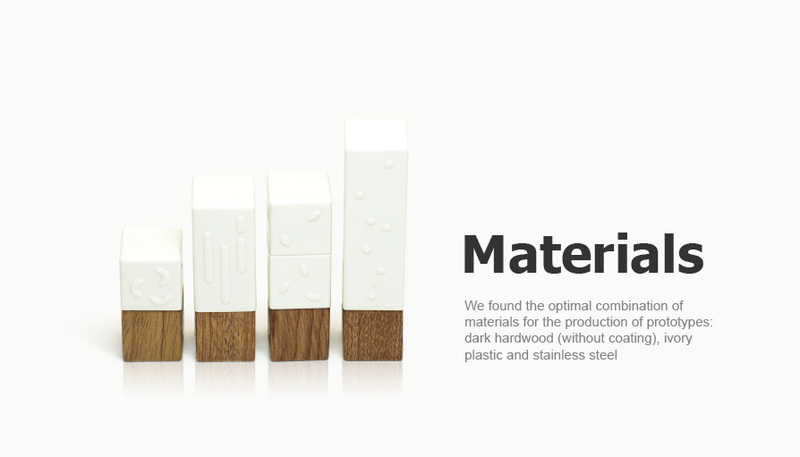 As the result, dark hardwood (without coating), ivory plastic and stainless steel were selected.